Bone marrow plays a key role in bone formation and healing. Although a subset of marrow explants ossifies in vitro without excipient osteoinductive factors, some explants do not undergo ossification. The disparity of outcome suggests a significant heterogeneity in marrow tissue in terms of its capacity to undergo osteogenesis. 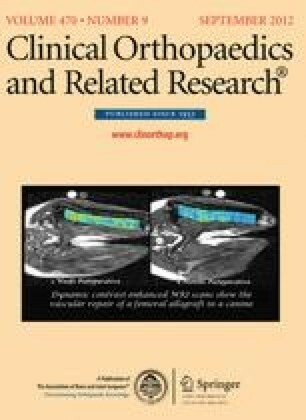 We sought to identify: (1) proteins and signaling pathways associated with osteogenesis by contrasting the proteomes of ossified and poorly ossified marrow explants; and (2) temporal changes in proteome and signaling pathways of marrow ossification in the early and late phases of bone formation. Explants of marrow were cultured. Media conditioned by ossified (n = 4) and poorly ossified (n = 4) subsets were collected and proteins unique to each group were identified by proteomic analysis. Proteomic data were processed to assess proteins specific to the early phase (Days 1–14) and late phase (Days 15–28) of the culture period. Pathways involved in bone marrow ossification were identified through bioinformatics. Twenty-eight proteins were unique to ossified samples and eight were unique to poorly ossified ones. Twelve proteins were expressed during the early phase and 15 proteins were specific to the late phase. Several identified pathways corroborated those reported for bone formation in the literature. Immune and inflammatory pathways were specific to ossified samples. The marrow explant model indicates the inflammatory and immune pathways to be an integral part of the osteogenesis process. These results align with the clinically reported negative effects of antiinflammatory agents on fracture healing. This study was funded by a grant from the Musculoskeletal Transplant Foundation (OA). The online version of this article (doi: 10.1007/s11999-012-2459-4) contains supplementary material, which is available to authorized users. We thank David VanSickle PhD, DVM for insightful discussions on bone marrow ossification model and Pamela Lachik for help with the μCT system.